CM: Warhol's Campbell's Soup: Cream of Tomato is the epitomy of consumerism. Warhol deemed appropriate to use his screen-printing and stenciling mastery to create something new that would blurr the boundaries between art and advertising. 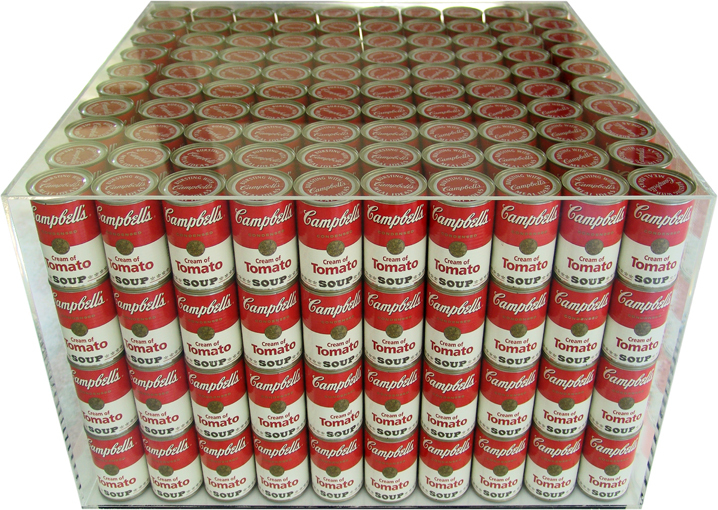 These 400 Campbell Soup Cans come from a limited edition that were produced specifically for the Warhol exhibition at Tate Modern (07/02-01/05/2002) to the original design that inspired the artist.